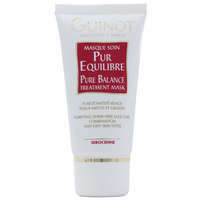 Home Brands Guinot Purifying Crème Pur Equilibre Pure Balance Cream 50ml / 1.8 oz. Re-balancing shine free cream for combination skin prone to oiliness. Formulated with mattifying powders and sebum-regulating ingredients which contain four specific controls for oily skin. Instantly providing a matte finish, tightening dilated pores, it recreates natural radiance and gives a long-lasting make-up hold. Non-comedogenic. - The Sebum-Regulating Complex: treats shine and dilated pores, the consequences of excess sebum. 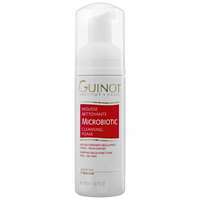 Guinot's laboratory created and tested the Sebum-Regulating Complex, a complex of active ingredients selected for their intensive anti-seborrheic activity and their perfect tolerance. 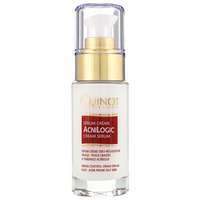 Combined with purifying agents, this extraordinary active ingredient has demonstrated its effectiveness on all types of oily skin. To use: Apply once or twice a day. 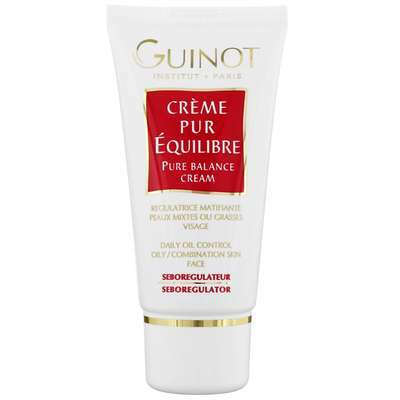 Guinot Purifying Crème Pur Equilibre Pure Balance Cream 50ml / 1.8 oz.